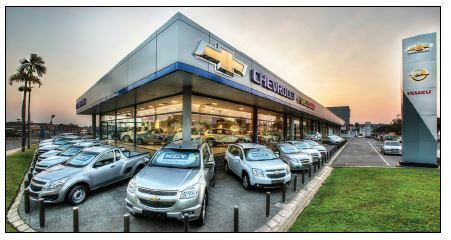 Key Pinetown, formerly known as Key Chevrolet and later Key Delta, was established in 1973 by Joe Emanuel. From its humble roots as a garage, it has grown to become one of the best General Motors Dealers in South Africa. Key Pinetown has always worked hard at creating lasting and valuable relationships with all its stakeholders - from the loyal fleet and retail customers who deal with Key every day, to their preferred suppliers; from the committed Key team who strive to exceed all stakeholder expectations, to the broader community through the Key Foundation, which serves to uplift and create sustainable change in the surrounding underprivileged community. Key Pinetown has a leadership and associate team second to none, winning multiple accolades over the last 40 years such as being the first Service Master Status Dealer outside of the USA, a Deloitte Best Company To Work For category winner, multiple General Motors awards for Dealer of The Year, Top Sales Volume Retailer, Top Customer Satisfaction in sales and service, Top Parts Wholesaler, and many more. Key Pinetown prides itself on being a 'business to business' business, holding long standing relationships with some of South Africa's most prominent companies, and handling some of KZN's largest vehicle fleets. With a full suite of transport solutions including hire and leasing (KVM), vehicle sales (new, pre-owned, and trucks), vehicle finance, service, and parts; and with a GM approved bodyshop on site, they are well placed to service all of KZN's corporate fleet needs. Situated just 2.5km down the road in the Key Truck Centre, Key Vehicle Management, runs over 300 trucks, bakkies and cars in their own commercial rental fleet. 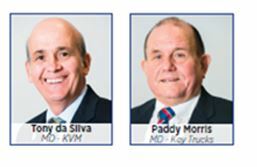 In addition, KVM specialises in all other transport solutions such as full maintenance leasing and fleet financing. Tony Da Silva and his team have many years' experience behind them in helping some of South Africa's largest businesses run their vehicle fleets more effectively and efficiently. Also situated in the Truck Centre is Key Trucks, an Isuzu Trucks SA (ITSA) franchised dealer that handles the full suite of Truck operator needs to some of KZN's biggest truck fleets in the form of Sales (New and Pre-Owned), Service, Parts, and Financing. ITSA is currently market leader in SA, and Paddy Morris and his team have been awarded the ITSA Dealer of The Year award no less than three times in the last five years, showcasing a second to none commitment to the Isuzu truck network that has benefitted our customers for years.